I personally tried attaching an Exo Force hand and it worked. Yeah, the same pieces used in the Barraki to hold the squids. I call them hands because the robot villains in Exo Force used such pieces as their hands. Please don't go posting my photographs without links to my original post. And if you paint the mask it becomes much more difficult to attach hinges to the mask, since it scratches the paint and plastic, so do watch out. 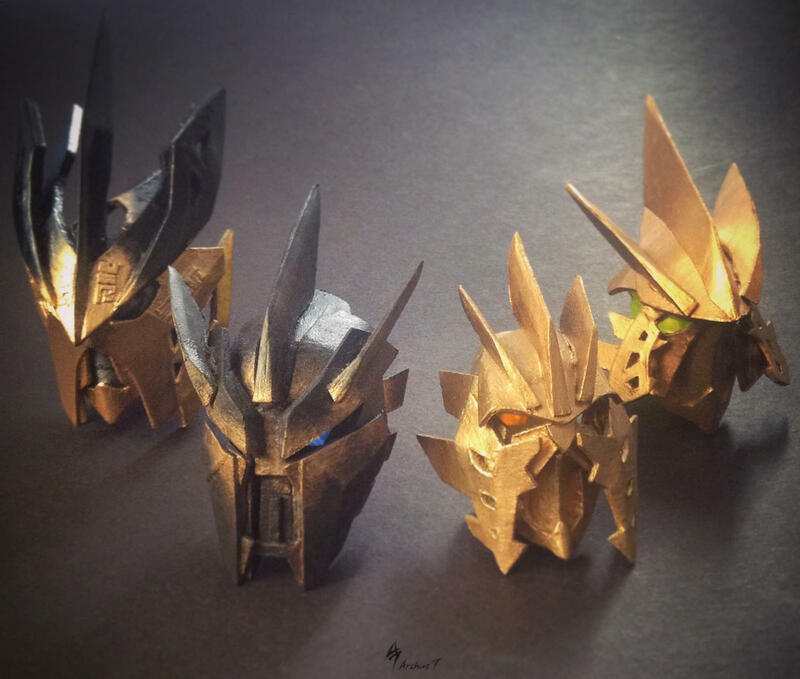 Would be nice if we had a G2 Avohkii and G2 Ignika. Just more plausable to mold and ofcourse for the G2 heads compatible. Here's the drawings if you or anyone else wants to look at them. I probably only spent two and a half hours collectively on all of them. Also those drawings,yes, im totally into those. I like the center one from the right. 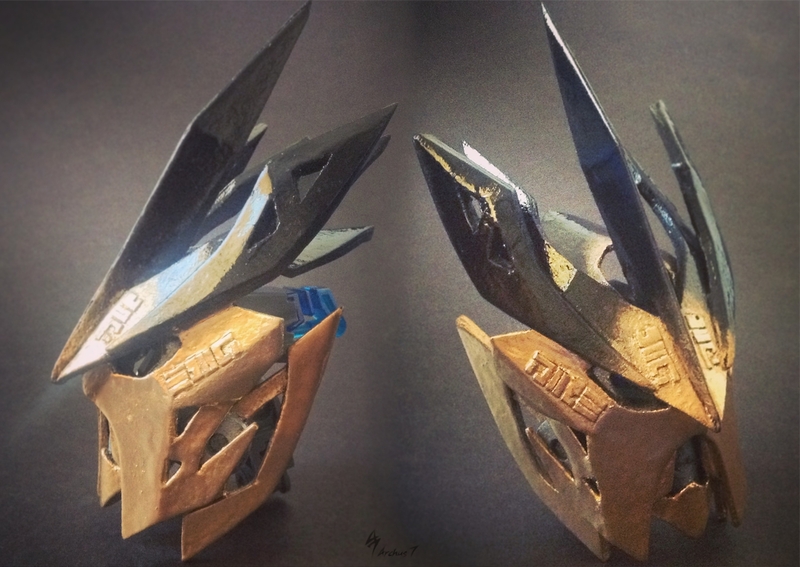 Honestly, all those masks look really strange, not at all like Bionicle masks, let alone G2 masks. Well the one @Perpetual drew is better, didnt see it up right before I posted. So about the Majora's mask. I know it might be kinda flat, but it is in the game anyway. If you put clips on it as is and uploaded it to shapeways, I would buy it. 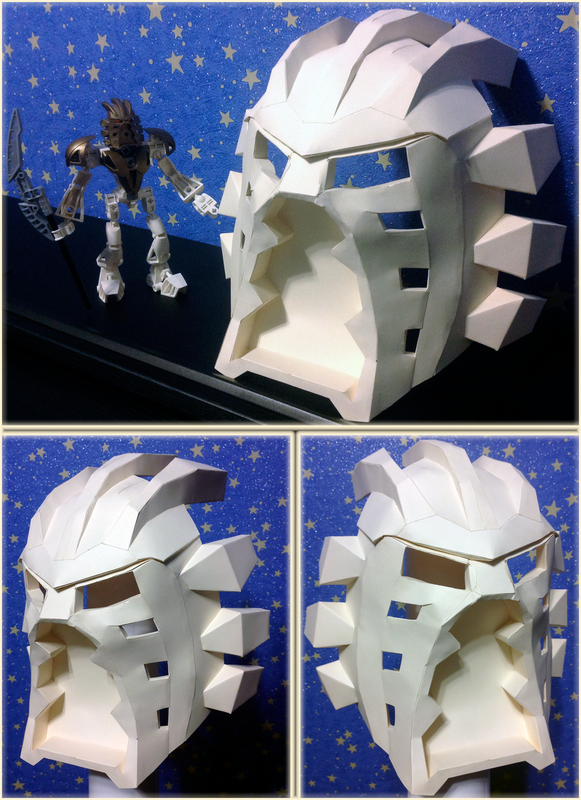 It's a photo of a concept design for the MoUP from the actual art book that was a prize from the Makuta Rebrick contest. The images have links to where they come from and the people that made them, just scroll to the image and it will show you who made it, fairly easy to figure out what to do from then on. I actually like this version of the Mask of Control better than what the official set's version. If Cyber-Hand makes this, I'll buy it! And if you freeze-framed on the commercial for the Umarak the Hunter set, this is what the Mask of Control looked like. 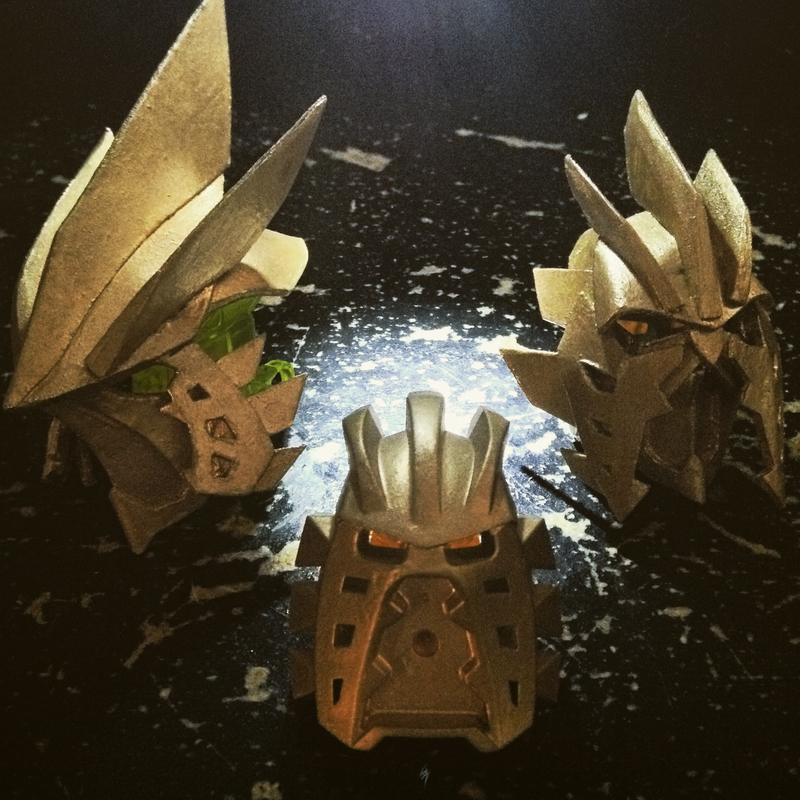 Because I will no longer wait for the ono printer, I'll buy the masks on shapeways now. So I wanna ask if the frosted ultra detail is better than the hi def acrylate. And what is the difference between frosted ultra detail and frosted extreme detail? And how do you know of this, pray tell? @Cyber-Hand, could you post some comparisons of the first edition of your MOUP model vs. how it looks currently? 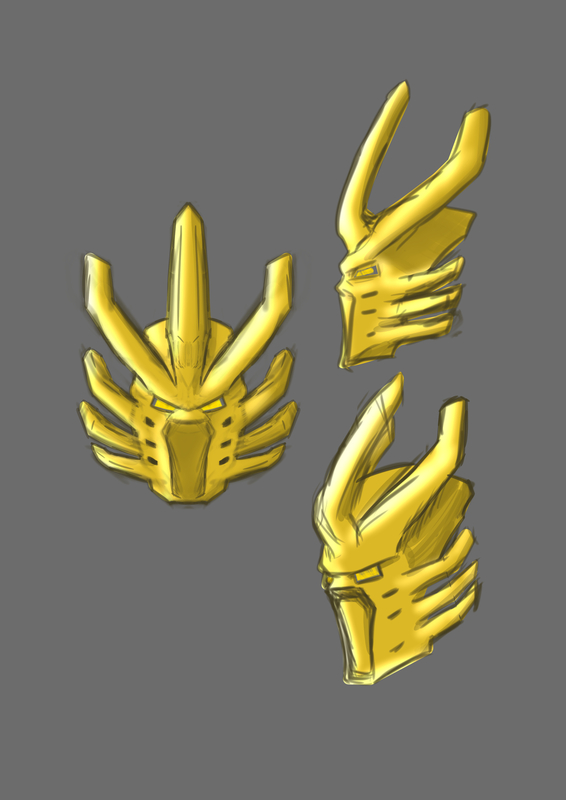 I was the guy who ordered the first edition in polished gold steel waaaaay back when, planning on getting the titan scale in high-def acrylate when it's finished, and I'd like to see what I'm in for! Side note, does the black hi-def acrylate yield more detail than the frosted ultra detail material?